Batik sarong Indonesia with low price. Indonesia has been identical with work art indeed. This batik diversity is not only on cloth or women fashion only. But it develops too on other type. For example on type of sarong. In some thins, batik sarong has a number of difference with other type. For example from fabric which is used. For type of sarong it uses cotton fabric or cotton 100 percent. Whereas other type can use different fabric. In addition, for the process of making batik sarong is done too manually or handmade. But, sometimes there are some creations which are done by batik craftsmen. This thing is done for producing more creative style. Such as with combining print cabut warna (pull out of the color printed). 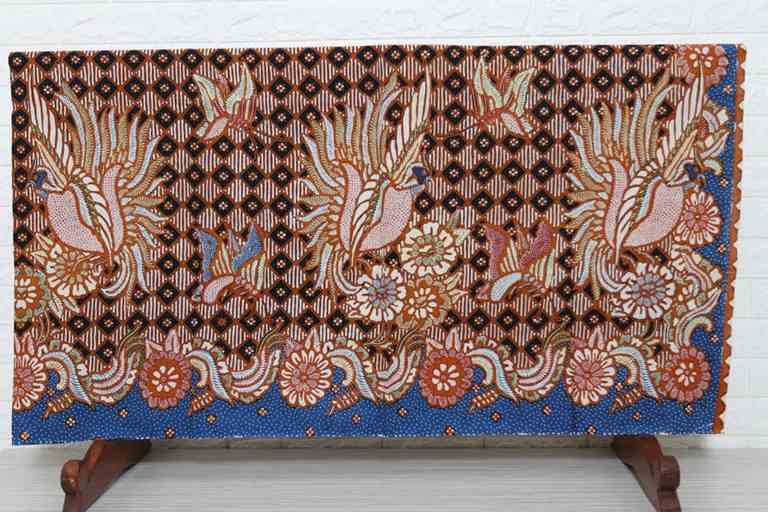 Then, there is combining print cabut tolet (pull out of tolet printed), batik tulis combination with printing and various other creative styles. In Indonesia itself, many batik craftsmen that make available for type of batik sarong. For its motif, it can be adjusted with the wish of ordering or even with the creation which is available. This is because, for its motif there usually is no difference between batik fabrics with batik sarong. But, if the order wants different motif style, so the craftsmen will make it available too. Batik sarong Indonesia with low price at Batikdlidir. Starting price US $ 1.50 per yard, You can get the best quality sarong. Batikdlidir’s Wholesale sells the original handmade batik sarong with the various traditional batik patterns. For you, the sarong wholesaler grab the special price in our shop/company immediately. We will give our best services and the reasonable price. It is same that we (Batikdlidir) do in giving service to customer. We make various choices available. The one of them in order to the customer can be free in choosing type of motif wanted. This is because, in Indonesia itself is existed many motifs. So, the order can choose motif wanted. Or if it is not, the order can propose motif created by them. And we are always ready in giving service for every order. We are the one batik fabric center existed in Solo city. During this time we do not only give service the order in domestic. But also, many our customers from abroad. The beauty and the characteristic of batik Indonesia make foreigner so much like it. It is same with other type of batik; batik sarong is interested too by foreigner. The order of this batik sarong Indonesia can be done by contacting me +6282265652222.